Amazing Places are opportunities to educate and inspire visitors about their natural surroundings, and to create a connection that can quickly become powerful and deeply personal. 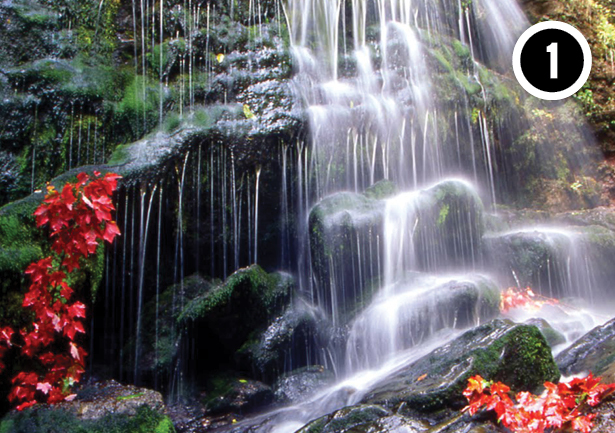 They tell a story about stunning natural spaces in publicly accessible locations. 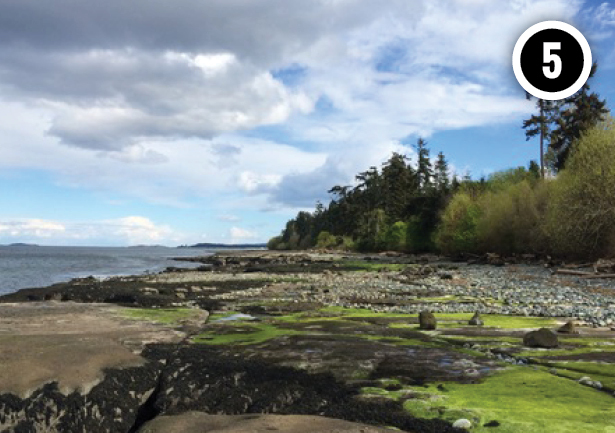 The concept of naming Amazing Places began in 2010 with the Fundy Biosphere Reserve. 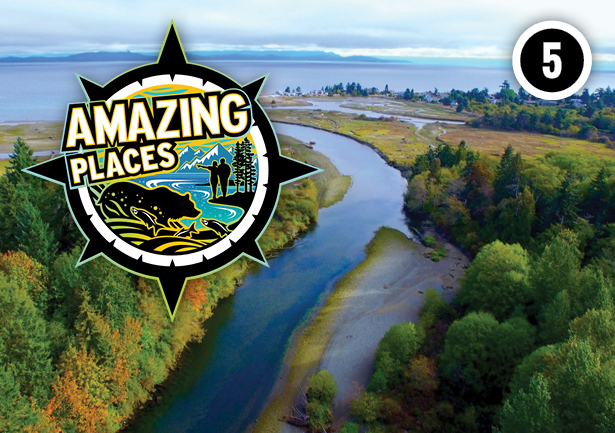 The Amazing Places project is now thriving in five Canadian UNESCO biosphere reserves in New Brunswick, Ontario, and British Columbia. The project goal is to identify and promote significant natural sites for residents and visitors to explore in order to encourage better knowledge of ecological features and inspire a commitment to conservation. A cross-Canada Amazing Places program, with its focus on the unique, beautiful, natural sites of this country, has the potential to unite all Canadians. 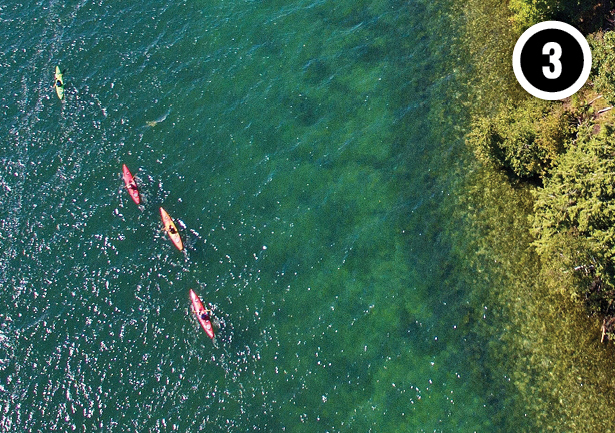 This country has an abundance of natural beauty, but we sometimes forget to celebrate it, and with a concerted effort from participating biosphere reserves in Canada, we are renewing that public interest and appreciation for these beautiful places. 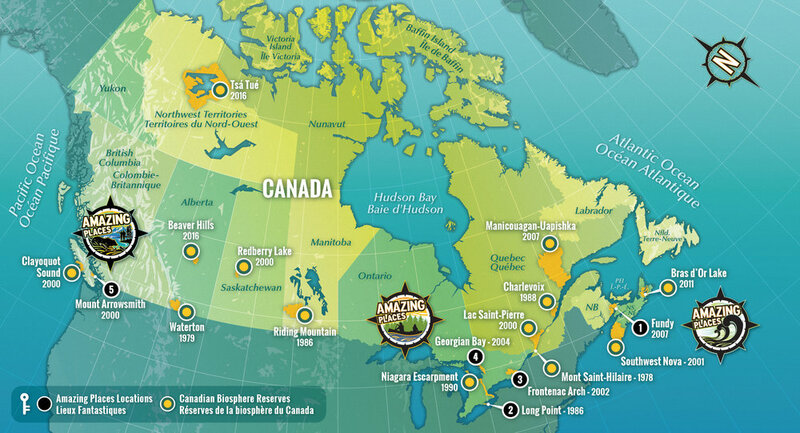 Explore Amazing Places in five of Canada’s UNESCO biosphere reserves! 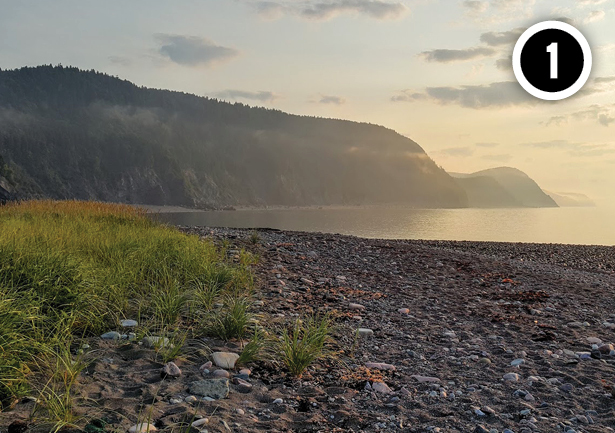 Click the button below to learn about and explore Amazing Places in New Brunswick’s beautiful Fundy Biosphere Reserve. See label #1 on map. 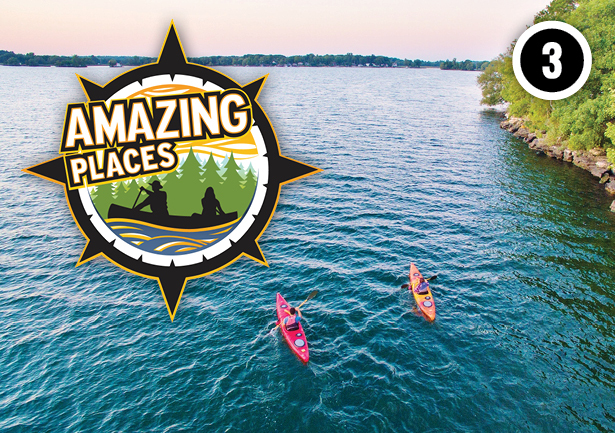 Click the button below to learn about Amazing Places in Georgian Bay, Long Point and Frontenac Arch Biosphere Reserves. See labels #2, 3, 4 on map. 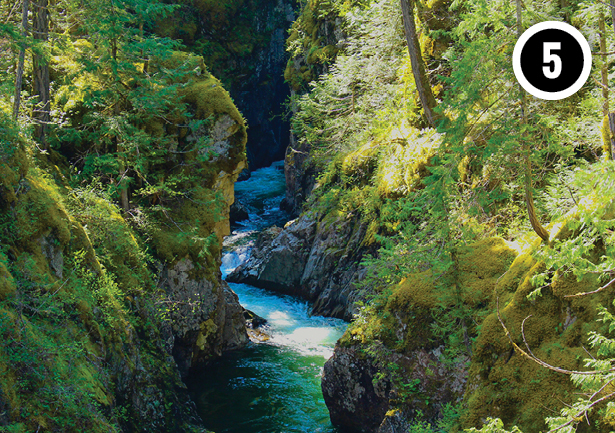 Click the button below to learn about and explore Amazing Places in British Columbia’s Mount Arrowsmith Biosphere Region. See label #5 on map. generous support and contributions from our partners.